Brutalitopia: Chicago Open Air 2017 Preview... With Some Thoughts! 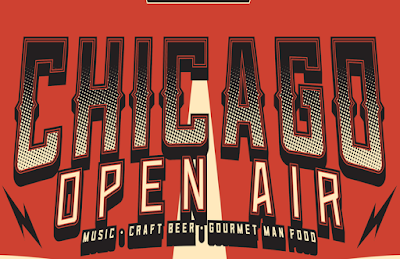 Chicago Open Air 2017 Preview... With Some Thoughts! 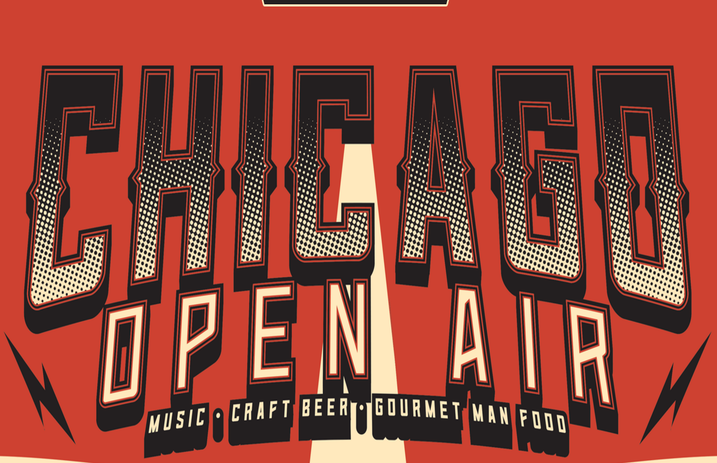 Last year, the first annual Chicago Open Air Festival arrived, featuring mainstream metal bands like Rammstein, Disturbed, Korn, Five Finger Death Punch, Breaking Benjamin, and Slipknot, alongside heralded underground bands like Carcass, Deafheaven, Gojira, and Meshuggah. It was an interesting and pretty decent - if unspectacular - mix of metal that a lot of folks have heard alongside bands that hover in more extreme territory. Also Hollywood Undead was there, which throws my perception of the whole thing off a bit. I didn't make it to the festival last year, but I did catch the sterling aftershow featuring Carcass and Deafheaven, which was excellent. Obviously a giant, open air metal festival in my backyard is something I want to support and attend, so I was eagerly awaiting news on this year's lineup. Last week, the festival organizers announced the lineup for the second iteration of the festival, to be held at Toyota Park in Bridgeview (just outside Chicago) July 14th-16th. Would the festival bring in more underground bands? Would early-2000s alt-metal continue to headline? Would 2017 be the year that puts COA alongside Maryland Death Fest or Southwest Terror Fest in the pantheon of American Metal Festivals? Well... sort of, yes, and no, to be blunt and go the short answer route. COA 2017 features headliners KISS, Rob Zombie, Korn, Godsmack, Ozzy Osborne, and Slayer, which... would be incredible if each band wasn't a decade-plus removed from their heyday. 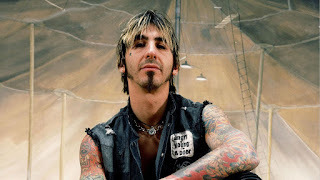 Of the six, Rob Zombie and Godsmack are the easiest to get excited about, because RZ is still putting out music he's passionate about, and Godsmack was always an ok substitute when rock radio inexplicably refused to play Alice in Chains in my high school days. 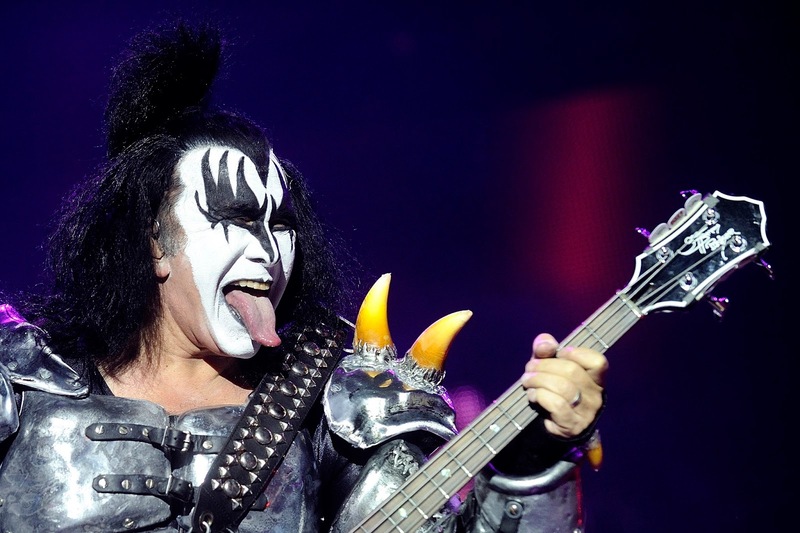 KISS would probably be entertaining to see, and if Korn sticks to their first four albums it would be a solid set. Ozzy and Slayer though (Sunday's headliners) don't inspire much confidence at all. Ozzy was the only weak link during Black Sabbath's recent run of farewell tours, and when I finally got to see Slayer a few years ago, there was little energy and opening act Gojira blew them out of the water. Of course, there's a safe bet that removed from the constraints of a club show and set loose in the great outdoors, Ozzy, Slayer, and KISS will have incredible and excessive pyro effects that would liven things up a bit. As for the rest of the mainstage acts, Friday is probably the strongest, with Megadeth, Anthrax, and Meshuggah on hand. I understand that KISS probably wouldn't have shown up if they weren't headlining, but it's baffling to me that Rob Zombie is playing after Megadeth (and Anthrax). Even if they're in the earliest slot, it's cool that people setting up to see the latter bands will get to experience Meshuggah, although Tool fans once booed the 'Shug, so I have no idea how KISS fans are going to react. Saturday is the weirdest day, as quasi-joke band Steel Panther opens the mainstage, followed by hard rock legends Clutch, who give way to... Seether? Seether is still a band with a big enough following to be the third billed band on the potential busiest day of a three-day festival? Last year I was stunned to see Breaking Benjamin in this slot, so maybe it's a pattern of having alt-metal bands with three popular singles and alcoholic frontmen. Maybe next year they'll get Hinder! Sunday leads of with Amon Amarth and Lamb of God (two more bands you could argue should be closer to headlining) before segueing into Stone Sour, which will give you plenty of time to go get more beer and still be back in time to sing along to "Bother," which is a legitimately good song. Issues with band order aside, Friday and Sunday look to be legitimately fun mainstage nights, and Saturday at least has Clutch and Godsmack. The second stage is normally where you'd look to find more extreme bands in this kind of festival, and COA does a pretty good job here. Friday sees the Dillinger Escape Plan making their second final Chicago appearance before disbanding, along with bands like Code Orange, Whitechapel, and Suicide Silence. Saturday's highlights are definitely Pig Destroyer and Metal Church (although DRAGONFORCE!!! ), but it looks like Sunday takes the cake, because Sunday has Behemoth. Sunday also has Whores., Norma Jean, DevilDriver, and Demon Hunter, but mainly Behemoth, which should be really, really cool. Honestly, I was ready for COA to have a much worse lineup than they came out with, but I still can't help but feel this is a festival still searching for an identity. While the quality, if not quantity, of the more underground bands they've booked is stunning, it still feels like they're booking headliners based on potential gate receipts and not excitement factor. Which, duh, I know they're trying to make money, but when I spoke to friends who went last year, every single person was excited for Rammstein. They were the massive draw, and that drew people in. Talking to those same people this year, there's no act that has them that excited. And when speaking with more underground metal fans, there's no reason for them to drop the money on a three-day or even single day pass when they can catch the individual bands they want to see on tour in a smaller venue for the same price. I really want COA to be a great festival, but that starts with the lineup, and right now that's their biggest issue. On the plus side, now I get to cross my fingers and hope for an absolutely bonkers Behemoth/Clutch after show.